In this month’s edition of Tips from the Top, social media is hot and content marketing rocks with big trends, upcoming events and some of our top advice about how to succeed on the search and social web. The “Intelligence Report: Social Platforms” from L2 Think Tank found that the visual component of Instagram has helped the platform grow to 100 million users with the average luxury brand having 100,000 followers. With 70 million users, Pinterest grabs 41% of e-commerce traffic compared to 37% at Facebook. The average social shopper on Pinterest spends more than double than shoppers on Facebook. Google updated their content guidelines, specifically as it relates to links. Links within press releases, guest posts and articles should be treated the same as if they were ads or sponsored content – with the nofollow attribute added to outbound links. Starbucks has a new deal with Google to provide free in-store Wi-Fi to customers using laptops, tablets and smartphones in its stores that will be ten times faster than the current wireless service it offers through AT&T. Overall, average time spent with digital media per day is expected to surpass TV viewing time for the first time, this year. The average adult will spend over 5 hours per day online. You’ll be able to click on a link in whatever you publish, get a code, and embed that content elsewhere on the web–just like you can already do with YouTube, Twitter, Vine and Instagram. 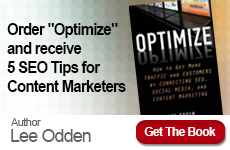 Enjoy the interview TopRank® CEO, Lee Odden, conducted with one of the most respected and authoritative Facebook Marketing experts on the social web, Mari Smith. This Social Media Maven talks about what businesses need to understand about Facebook, what’s possible and how to do it. What better way to close the gap between early maturity model stages and a path to greater profitability than learning from top experts who have already “been there, done that”? 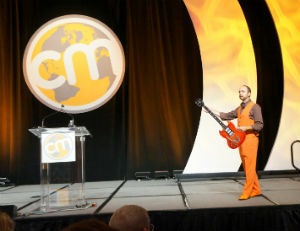 Content Marketing World coming up Sept 9-11 will provide the answers many digital marketers are looking for. Discover six ways you will boost the ROI of your conference investment whether you’re an attendee, speaker or sponsor. 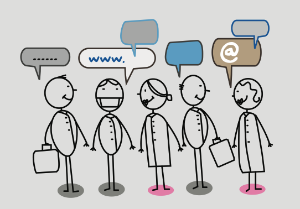 Employees are immersed in the complexities of today’s social media landscape. They represent an often untapped resource businesses can explore for brand advocacy and engagement. Discover ways your business can begin tapping into employees’ natural affinity to share in this guest post from Erin Nelson, a smart savvy B2B marketer. How does content fulfill the expectations of specific customer segments? Are appropriate content types, topics and promotions in place? Does planned content fit within business growth initiatives and what are the connections to calls to action? Learn how to answer these questions and put content to work for your business. Gain Lee’s perspective on the questions marketers want most answered based on Social Media Examiner’srecent 2013 Social Media Marketing Industry Report. He dives into the numbers and provides resources for additional exploration. 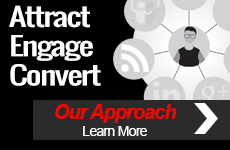 Lee explains how to engage more influencers and buyers with content marketing. Learn three key areas PR professionals bring to the table for competitive advantage in this post featured on PRSA’s Public Relations Tactics blog. Read Lee’s perspective on how technology platforms, like BuzzFeed and blogs, fit in to the future of content marketing. –Patrick McFadden, from For Small Businesses: When Is the Best Time to Start Building Your Social Networks?